Madrid [Spain] Feb 19 (ANI): External Affairs Minister Sushma Swaraj who arrived in Madrid on Tuesday interacted with the Indian diaspora here and thanked them for their contribution, in diverse fields, in promoting relations between India and Spain. 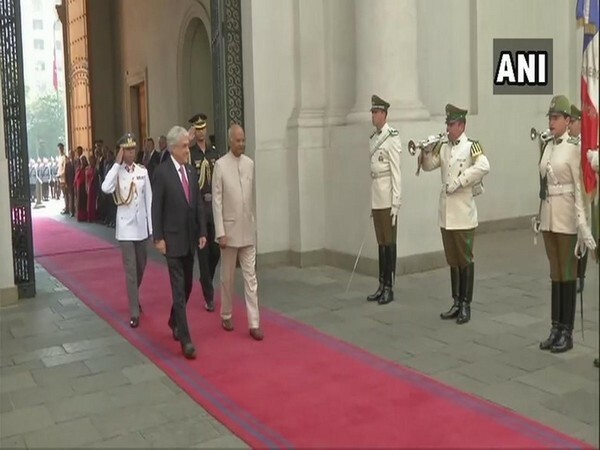 Shimla (Himachal Pradesh) [India], Feb 18 (ANI): Union Minister of State for External Affairs and former Army chief V K Singh on Monday said that under a diplomatic strategy India is exposing Pakistan to the international community. Dubai [UAE]. Jan 11 (ANI): Congress President Rahul Gandhi arrived in Dubai in the early hours of Friday for his two-day maiden visit to the United Arab Emirates. Islamabad [Pakistan], Dec 2 (ANI): Pakistan Foreign Minister Shah Mehmood Qureshi on Sunday claimed that by dragging his 'googly' comments against the Sikh community was a deliberate attempt to 'misrepresent and mislead' by the Indian government. Lilongwe [Malawi], Nov 5 (ANI): Vice President M Venkaiah Naidu on Sunday said that the Indian diaspora enjoys a reputation of being a peace-loving community. Harare [Zimbabwe], Nov 3 (ANI): Vice President M Venkaiah Naidu on Friday hailed the contribution of the Indian community in Zimbabwe, adding that as entrepreneurs, the diaspora served as a living bridge between the two countries. Gaborone [Botswana], Nov 2 (ANI): Vice President M. Venkaiah Naidu on Thursday interacted with the Indian community in Botswana's Gaborone town and called them "India's cultural ambassadors." Kuwait City [Kuwait], Nov 01 (ANI): External Affairs Minister Sushma Swaraj, who is on her maiden visit to Kuwait, on Wednesday held a series of meetings with leaders in Kuwait to strengthen the bilateral relationship between India and the Middle East country.